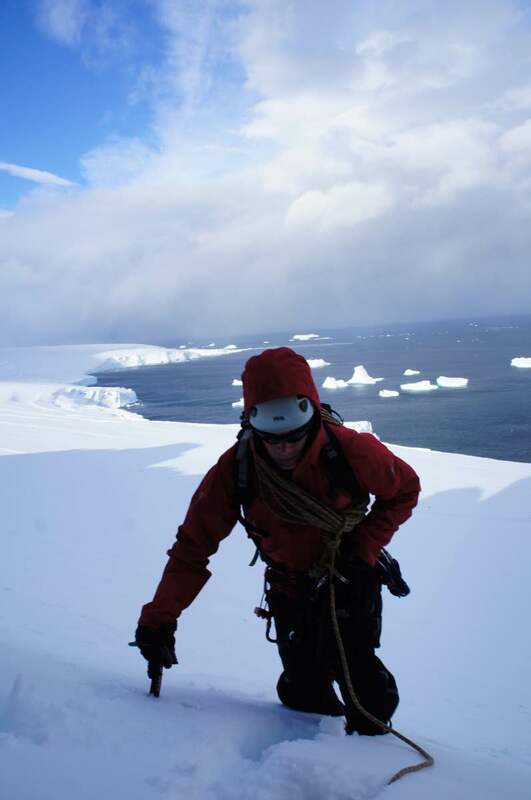 Last night I took Ash Cordingley, Rothera’s wintering marine biologist, off base for a quick ice climb. We headed up to Mushroom Buttress to climb a route called Gossmark’s Gully. The temperatures around Rothera have been pretty high over the last few weeks so I wasn’t sure what sort of condition the ice would be in. Looking up from a distance it looked good, but on closer inspection the ice was fairly cruddy. I climbed the same route a couple of weeks ago and it was relatively straight forward but with the slightly suspect ice it felt quite a bit more serious. The crux of the route is negotiating the chock stone at the top of the ice. It is short lived but feels quite committing with dodgy gear beneath your feet! 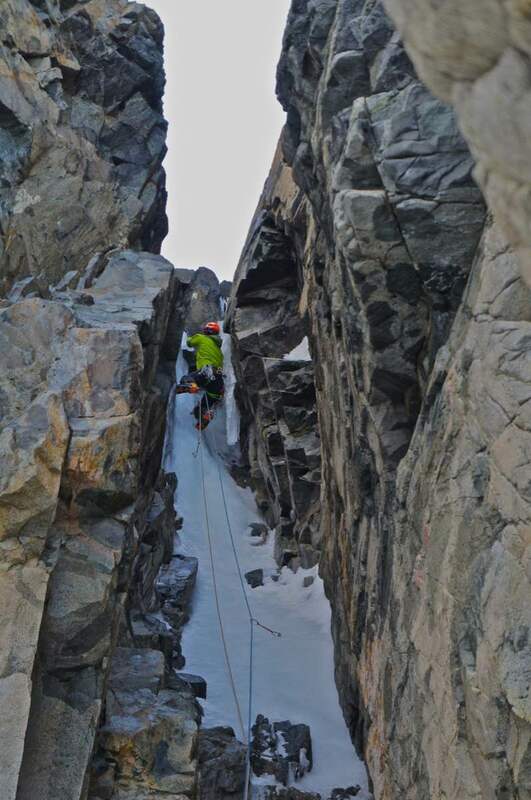 The route is about 50m long and just one pitch but as it’s so close to the base it offers a great introduction to harder winter climbing and is perfect for an evenings entertainment.